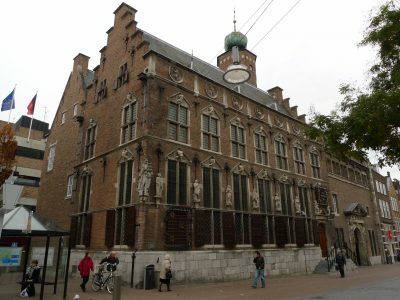 The current city hall was first used in the 14th century. The city council was quite small, back then, and only had a few employed officials. At first, only a residence in the eastern corner of the city hall was used. Later on, the two houses on the west side were added to it. 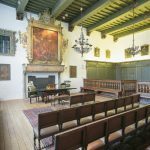 In 1554, the city hall was completely renovated and the three houses were merged to form one building. That was also when the current facade was built on. From then on, jurisdiction was exercised in the city hall’s new aldermen’s hall. Before that, justice was administered outside on the square. 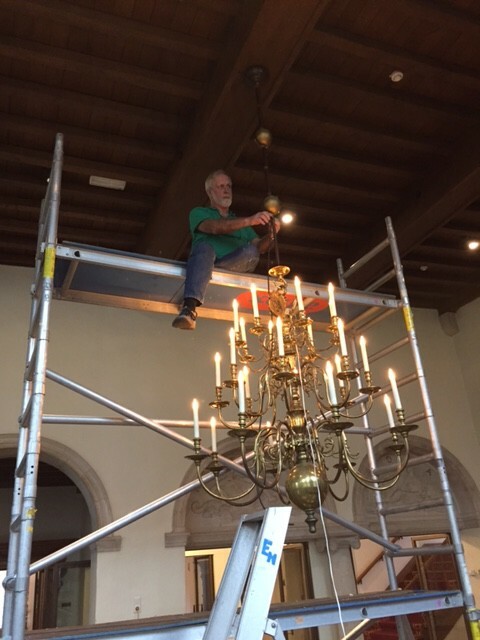 We restored and placed E-candles in the chandeliers in Nijmegen City Hall’s aldermen’s hall and Trêves Room. The chandeliers still had real candles in them, which were no longer allowed be lit due to fire safety concerns. 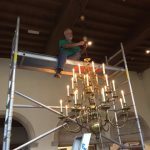 We added wiring to the chandeliers, making the wiring almost invisible, and installed the E-candle Royal, with a LED light source, reviving their original historical look and atmosphere.